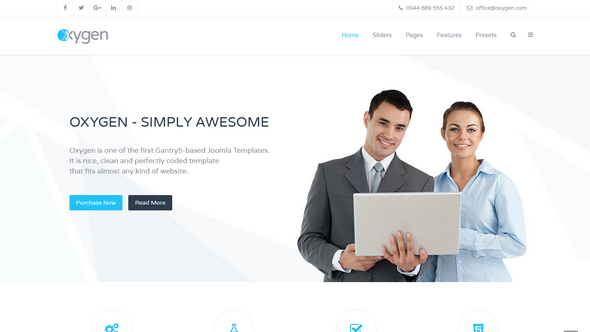 Oxygen is one of the first Joomla templates built on the powerful Gantry 5 Framework. It is nice, clean and perfectly coded template that fits almost any kind of website. Oxygen comes with many custom particles that bring some unique features and make the website configuration a real pleasure! We also integrated the UIkit Framework in a very natural way which gives you amazing freedom and possibilities.